In the case that you’re sure that the address you have is correct, we’d recommend using a geo location to point us to the address directly. A geo location is a very accurate set of numbers that describes a location. Using Google Maps, it’s very easy to find. For example, we’re having difficulty entering in 20 Orchard Road, Chatswood, NSW 2067. In this case, Google Maps has found the address. 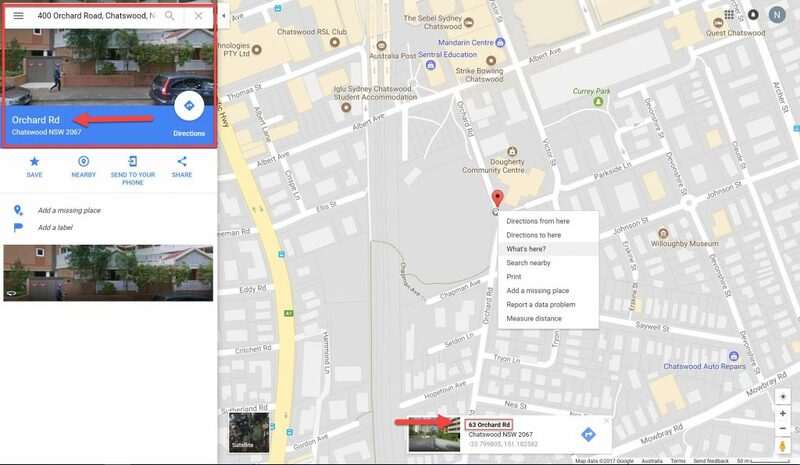 To get the geo location, right click on the address (make sure you’re right clicking on the exact address), click on ‘What’s here’ and the window down the bottom with the geo location will appear. Copy the highlighted number into the geo location section when booking a job. NOTE: Make sure you enter the first figure, into latitude, and the second figure, into longitude, correctly. 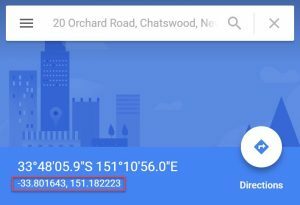 Sometimes, if you enter an address that doesn’t exist, Google will guess its location. For example, let’s we want to look up 400 Orchard Road, Chatswood, NSW 2067. 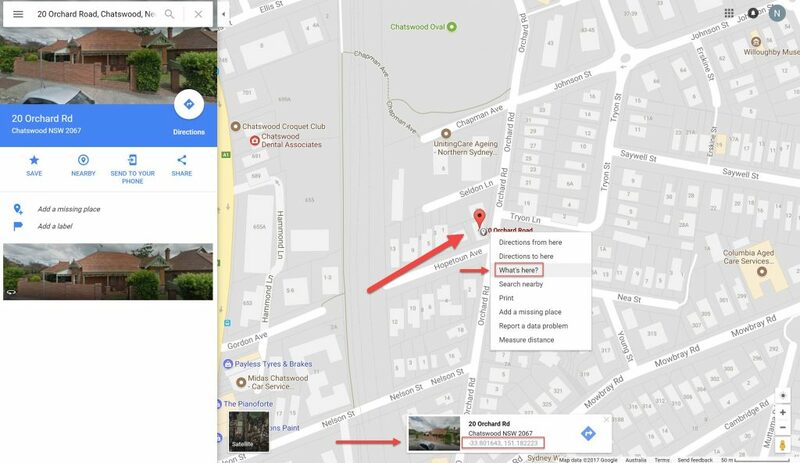 As you can see on the top left, Google Maps has guessed the address – while the search bar still says “400 Orchard Road” etc, below the picture it just says “Orchard Rd”. After clicking on ‘What’s here?’, the window down the bottom gives the address of “63 Orchard Road”. This is clearly not what we want. This address is really wrong, and so is the geo location. If Google can’t find your address, what you do next will depend on you. However, if you know where the intended address is, find it using Google Maps. Then, like before, right-click and find the geo location, and enter the information. We also recommend if using WhereIs to find your address. WhereIs often has a more up-to-date directory than Google Maps.